Students from the Brockton High School/Wildlands Trust team assess wildlife habitat using an aerial photo. The Envirothon is Massachusetts’ leading natural resource education program for high school students, emphasizing hands-on, team-oriented problem solving and community involvement that prepares young people for environmental careers and active citizenship. 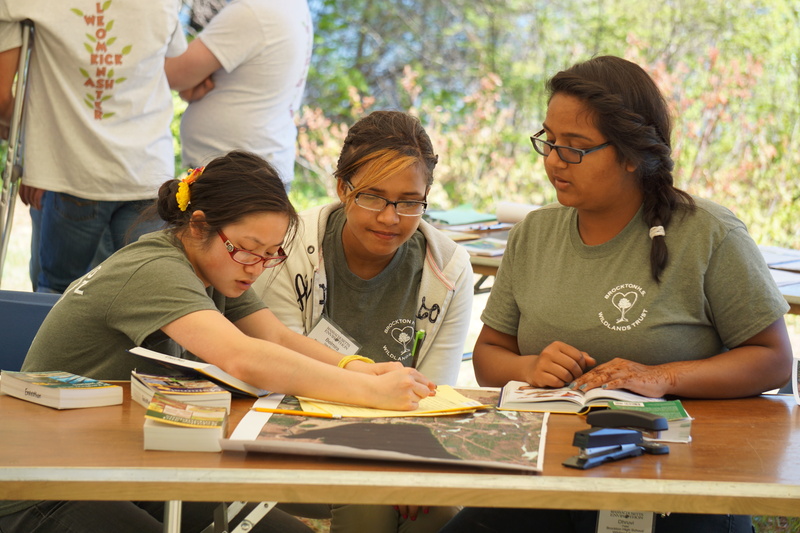 For nearly three decades, the Massachusetts Envirothon has engaged young people in hands-on exploration of soil, water, wildlife, and forest resources, and investigation of the important environmental issues affecting themselves, their families, and their communities. Teams representing communities from Boston to the Berkshires prepare throughout the school year, then come together in May at the annual Massachusetts Envirothon competition to demonstrate what they’ve learned about the environment and environmental issues. Whether you’re a teacher, student, parent, environmental professional, community leader or someone who cares about educating kids about the environment, we invite you to get involved in the Massachusetts Envirothon!